Just another 2020 extrusion profile #3DThursday #3DPrinting « Adafruit Industries – Makers, hackers, artists, designers and engineers! There are slight differences in aluminum extrusion profiles depending on its manufacturer. 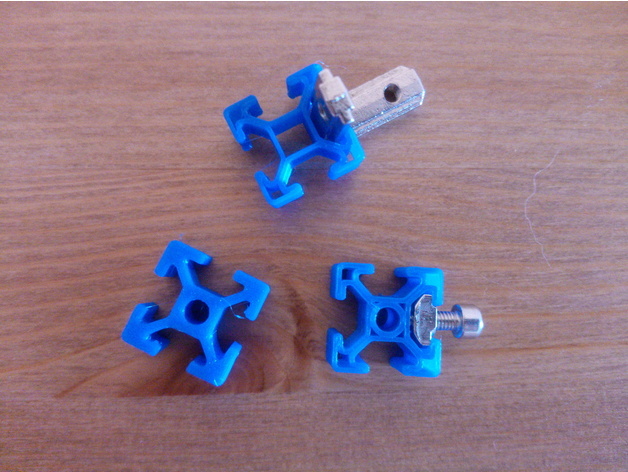 My version based on my tevo tarantula printer extrusions and it is suitable to use with t-nuts and L-brackets. You can save time printing it in vase mode (see printing notes) or you can use your favorite printing settings.